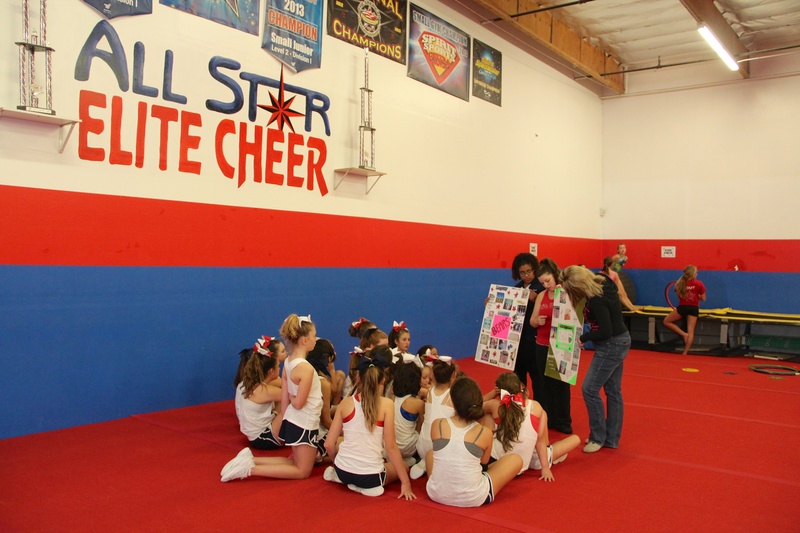 Walking into Cheer Fusion in Fredericksburg, Virginia, it’s hard to miss the colorful posters lined up above the mirrors. 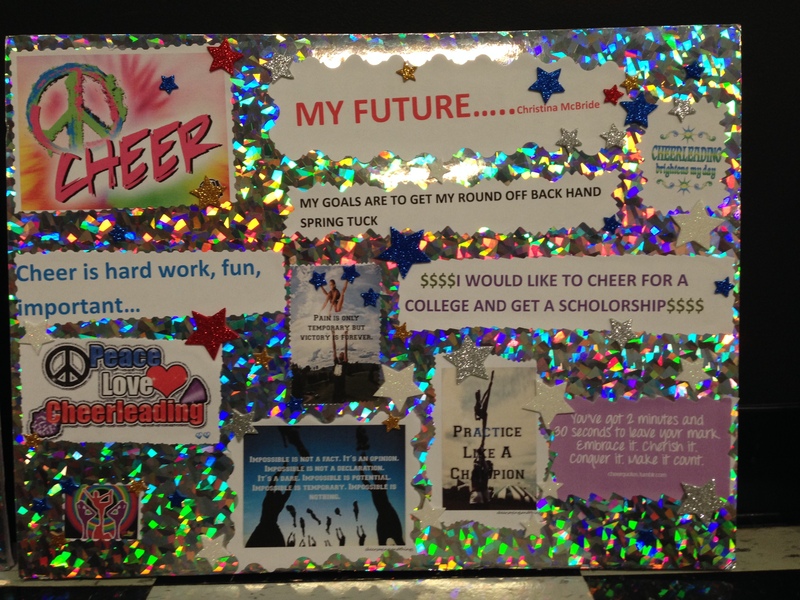 Filled with platitudes like “Practice Like a Champion” and goals like “I would like to cheer for college and get a scholarship,” these homemade vision boards provide a creative source of motivation for the gym’s teams—as well as a much-needed means of focus and direction. Spina notes that the finished boards feature a variety of photos, many depicting complex moves or memories with fellow teammates. 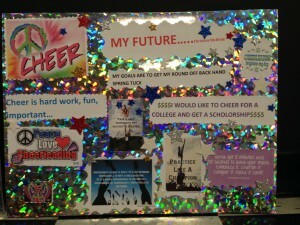 Many of the athletes get creative, making door hangers or even video recordings. 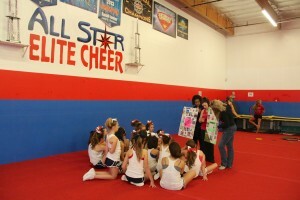 Age often determines the content; for instance, the 5- to 8-year olds focus on big bows and trophies, but the older girls emphasize goals. Joyce Schwarz, founder of The Vision Board Institute and author of The Vision Board Book, defines vision boards as visual maps comprised of pictures, power words and affirmations depicting changes you’d like to make in your life. “They represent the best of what’s to come. It’s really about living and appreciating what we bring to others,” says Schwarz. Lawton finds employees will depict personal dreams and goals, as well as professional aspirations. “People are creative. 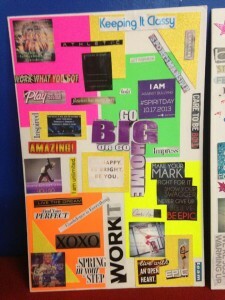 They start with a blank canvas and are totally open to making the vision board more impactful. It has meaning and purpose,” she says. Vision Board Book author Schwarz points out that many people continually update their vision boards as a living work-in-progress, keeping the focus positive and productive. “This is more than creating a collage. It’s a GPS system that guides you to immediately take steps toward your vision every day,” she says. 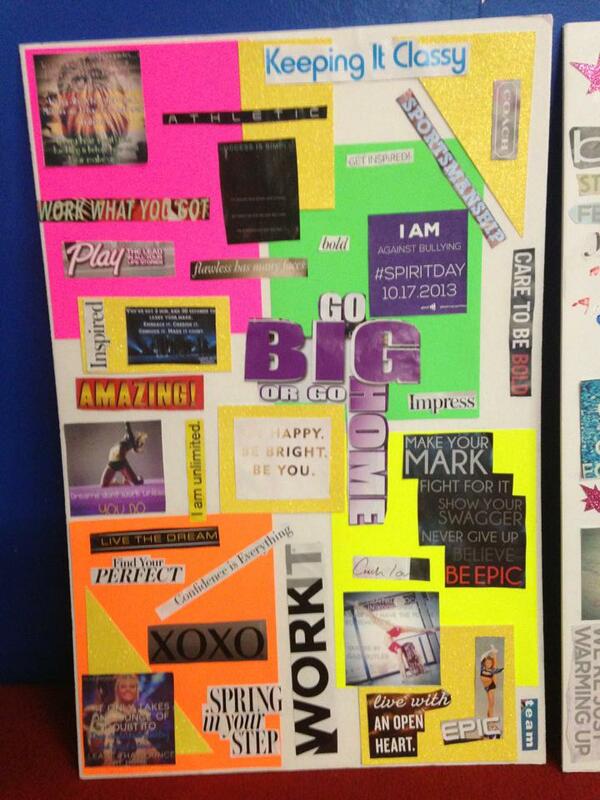 Want a step-by-step guide to creating your vision board? Check back on our blog this Thursday for some trusty tips!